This just may be my crowning moment in the world of culinary goodness. 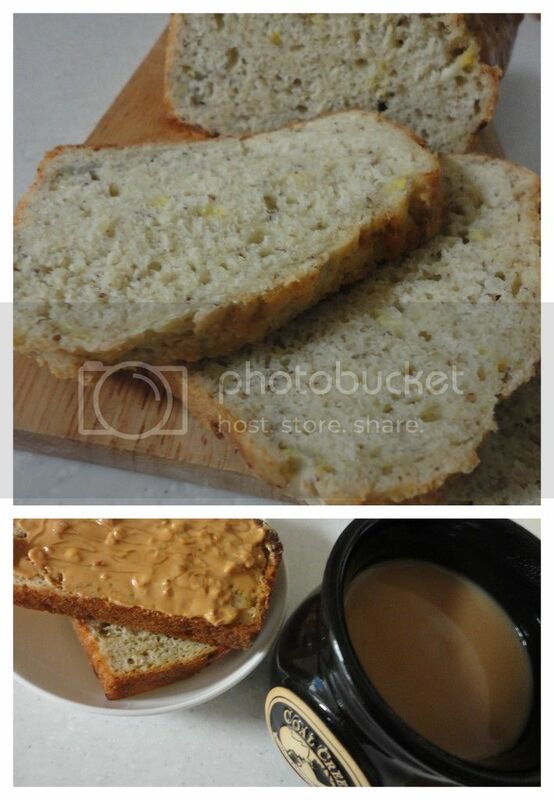 Beer Bread meets Banana Bread and it is alliterative love at first bite. I really had no idea how this loaf of bread would pan out, but the idea came and I had to throw it together to find out. 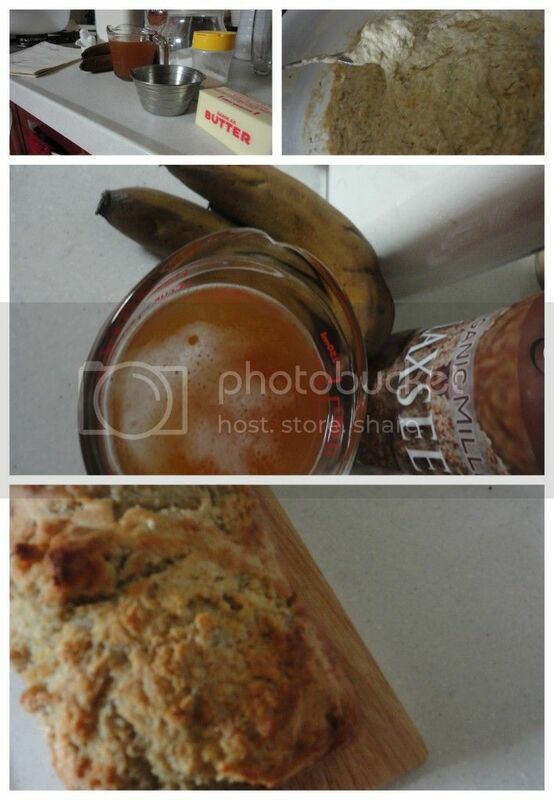 It was a perfect mix of banana and beer, with an incredible meeting of the dense-ness of banana bread with the lighter, airy texture of beer/yeast breads. I could not have been more satisfied with the way this bread turner out - definitely helpful that I get to use my husbands home-brewed beers which are full of flavor compared to Korea's watered down brews. In a large bowl, mix together 3 cups Flour, 1 tsp. Salt, 3 Tbsp. Sugar, and 1 Tbsp. Baking Powder. You will need a total of 8-12oz Flat Beer (I used a Belgian), add about one cup to dry mixture as well as 3 Ripe Mashed Bananas. Add additional beer as necessary to gain the proper consistency, thick and sticky, not too runny. Pour batter into a greased loaf pan, dollop 2 tbsp. of Butter on top of the raw loaf and bake at 375 F for 30-40 minutes. I made this Whole Wheat with honey and walnuts...OH MY. It was amazing!